The Fancy Bears group of hackers has published a fifth leak of documents from the World Anti-Doping Agency (WADA), revealing even more sportspeople who were given the go-ahead to take banned substances by the agency. According to the leak published September 23, another 41 athletes from 13 countries have been exposed as using a Therapeutic Use Exemption (TUE) to get permission from WADA to take prohibited substances. They include Swiss road cyclist Fabian Cancellara, who won a gold medal in the men's individual time trial at the Rio Olympics, US distance runner Galen Rupp, who won a silver medal in the men's 10,000 meters in Rio, and South African Cameron van der Burgh, who won silver in the men's 100 meter breaststroke in Rio. In 2011 and 2013 Cancellara produced a TUE and was granted permission to take the corticosteroid hormone methylprednisolone. In the same way, in 2009 Galen Rupp was granted permission to take methylprednisolone and salbutamol, medicine which widens the airways and is used to treat breathing difficulties. Cameron van der Burgh was also given permission to use salbutamol in 2009. Fancy Bears published its first page of leaked WADA documents on September 13, which revealed US sportspeople including gold medal-winning gymnast Simone Biles and tennis champion Serena Williams had been given permission by WADA to take illicit drugs. Biles was given approval to take the stimulants d-amphetamine and dexmethylphenidate, which are used to treat attention deficit hyperactivity disorder (ADHD). Williams was given approval to take the opioid painkillers oxycodone and hydromorphone, as well as the corticosteroids methylprednisolone, prednisone and prednisolone. Since then Fancy Bears have revealed scores of athletes allowed to compete despite testing positive for prohibited substances, thanks to the TUE. The group released its fourth batch of documents last week, which showed that several US competitors, including Olympic swimmer Connor Jaeger and archer Brady Ellison, were allowed to use the corticosteroid methylprednisolone. 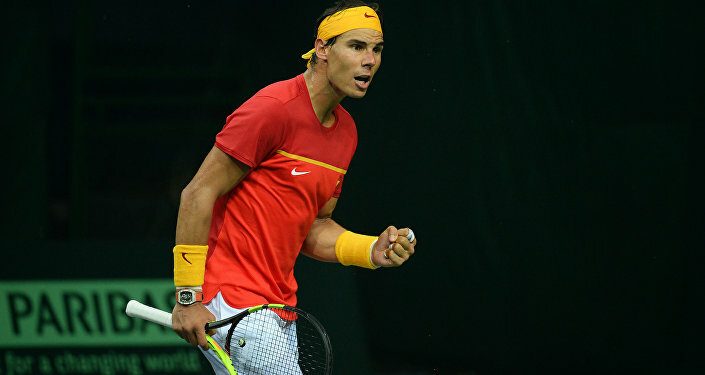 Spanish tennis player Rafael Nadal, who has won 14 grand slam singles titles, received a TUE in 2009 for the use of betamethasone, and used corticotrophins in 2012.